ACM SIGGRAPH is managed by a nine-person Executive Committee (EC): three officers (President, Vice President, and Treasurer) and six Directors at Large. Members of the EC are elected by the ACM SIGGRAPH membership and serve three-year terms. Elections are conducted annually to fill open positions; this process is led by the chair of the Nominations Committee. All officers and directors are required to be members of ACM and ACM SIGGRAPH. Nominations for the ACM SIGGRAPH Executive Committee may be submitted in July of the year prior to the beginning of the position term. To submit a nomination, contact the ACM SIGGRAPH Nominations Committee Chair. Members of the EC are primarily responsible for oversight and strategic planning for ACM SIGGRAPH. EC members also serve as liaisons to the ACM SIGGRAPH Committees. 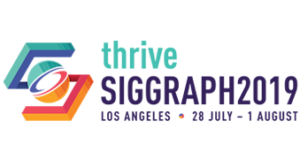 There are approximately 3-4 meetings per year, including the annual SIGGRAPH Conference. Most work is done via email. Average workload is expected to be around 5 hours per week and at a few times, (e.g. when there are meetings), workload will increase. ACM SIGGRAPH President: The President’s major responsibility is to see that initiatives of SIGGRAPH are well managed, and that SIGGRAPH’s commitments are met. This position relies heavily on involving other SIGGRAPH leaders, both elected and appointed, to handle a variety of responsibilities. Many of these tasks are delegated to other ACM SIGGRAPH officers on routine matters. ACM SIGGRAPH Vice President: The principal role of the Vice President is to substitute for the President if the need arises. The Vice President is normally included in all major discussions of ACM SIGGRAPH’s long-term goals. ACM SIGGRAPH Treasurer: The SIGGRAPH Treasurer has responsibility for overseeing ACM SIGGRAPH’s finances. Working with staff from the ACM Finance Office, the ACM SIGGRAPH Treasurer prepares the annual ACM SIGGRAPH budget. The ACM SIGGRAPH treasurer is able to monitor ACM SIGGRAPH’s finances through FMRs (Financial Management Reports), which are updated monthly. Generally speaking, the ACM SIGGRAPH Treasurer approves SIGGRAPH’s expenditures, unless this responsibility is delegated for a specific activity or program. ACM SIGGRAPH Director at Large (6 in total): An ACM SIGGRAPH Director-at-Large is a voting member of the Executive Committee who helps make decisions on behalf of ACM SIGGRAPH.